Jackson Greene has reformed. No, really he has. He became famous for the Shakedown at Shimmering Hills, and everyone still talks about the Blitz at the Fitz…. But after the disaster of the Mid-Day PDA, he swore off scheming and conning for good. Then Keith Sinclair — loser of the Blitz — announces he’s running for school president, against Jackson’s former best friend Gaby de la Cruz. Gaby hasn’t talked to Jackson since the PDA, and he knows she won’t welcome his involvement. But he also knows Keith has “connections” to the principal, which could win him the election whatever the vote count. So Jackson assembles a crack team to ensure the election is done right: Hashemi Larijani, tech genius. Victor Cho, bankroll. Megan Feldman, science goddess and cheerleader. Charlie de la Cruz, point man. Together they devise a plan that will bring Keith down once and for all. Yet as Jackson draws closer to Gaby again, he realizes the election isn’t the only thing he wants to win. 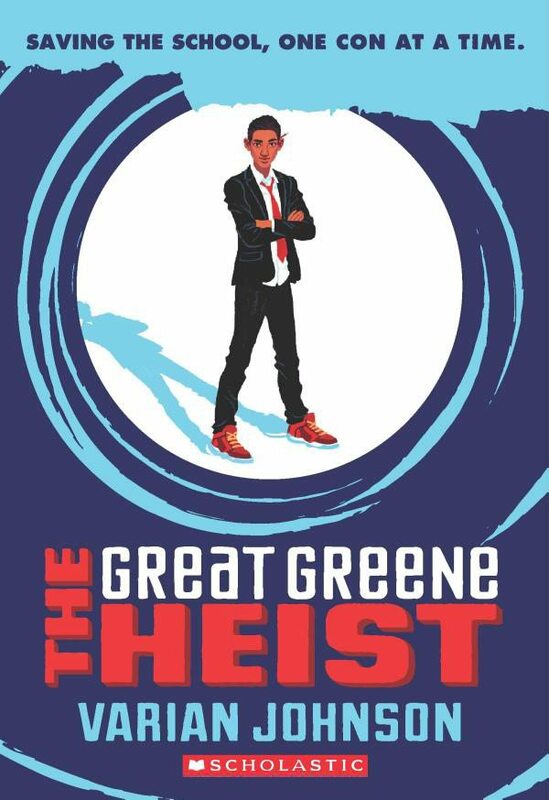 I started THE GREAT GREENE HEIST in 2007. I remember it clearly—after stepping out of a viewing of Ocean’s Thirteen, I drove around the corner to a strip mall, where I found a brown blazer on sale. I bought the coat, went back home, sat at my computer, and typed two words: Jackson Greene. That’s all I had for a long time. It wasn’t until a few months later that I tried to get the story on the page. I knew I wanted to write some type of caper/heist novel. But I couldn’t figure out how to pull it all together. Eventually, I put it aside and focused on other works. Years later, after working on a particularly bleak YA manuscript, I realized I wanted to write something that made me laugh. I wanted to write something featuring characters that I really liked; people I would have wanted to hang out with. Basically, I wanted to have some fun. And that’s when I remembered my story about Jackson Greene.